Widely regarded as one of the best online and mobile casinos, Gaming Club casino was also the very first virtual casino to open its doors on the worldwide web back in 1994. For more than two decades they’ve provided players with exceptional entertainment, payouts, bonuses, rewards and customer service. It’s no wonder that more and more players join every day and existing players never leave. Like most other online and mobile casinos, Gaming Club’s lowest minimum deposit requirement is 10 credits in whatever currency the player wants. These include €, Kr, C$, AU$, NZ$, CHF and various more. This deposit’s required when new players sign up and make their first and second deposits to qualify for the two welcome bonuses: a 100% match bonus up to 200 and a 150% match bonus up to 150 bonus credits, respectively. 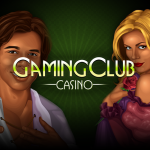 Gaming Club’s promotions however could require higher minimum deposits to qualify and enter. Name any land-based casino game and you’re sure to find it at Gaming Club. You’ll be able to select your favourites from a list of more than 500 options including classic slots, video slots, video pokers, jackpot slots, scratch cards, roulette, blackjack, craps, baccarat, live dealer and slots tournaments. The premium quality line-up includes popular international titles like Hitman™, Girls with Guns, Beach Babes, Terminator 2™, Break da Bank, Mega Moolah, Treasure Nile and premier Gold Series table games. Most games can be enjoyed for free in guest play mode. The lowest minimum deposit required to play is usually 10 credits. If you have a small bankroll though, it’s best practice to place smaller bets so you can play for longer. Players can bank at Gaming Club with complete peace of mind, knowing all deposit and withdrawal options are trustworthy. Once you’ve registered a real money account, simply go to the banking section in the software to see which debit cards, credit cards, prepaid cards and web wallets are available to use in your region. You’ll find a host of options including reputable names like NETELLER, Visa, Maestro, MasterCard, Skrill, paysafecard, Lobanet, Euteller, iDEAL and many more area-based options. The lowest minimum deposit players need to make is dependent on the mechanism chosen, which usually starts at 10. New players qualify for two match bonuses on their first two deposits valued at up to 350 bonus credits in their currency. Thereafter they’ll receive Deal-A-Day match bonuses on their first deposit every day they play. This can be followed by even more generous match bonus offers. Player loyalty also gets rewarded via a points system. It’s simple, the more you wager, the more points you earn. Once you’ve earned enough points, you can trade it in for cash credits, equalling more game time or money in your pocket. Plus, you can cash in on great prizes if you take part in Gaming Club’s entertaining promotions. Cash, spins, gadgets and getaways always up for grabs. Top quality software ensure smooth game play, easy navigation and exceptional graphics, effects and features. This is standard at Gaming Club, as it only uses software from the best in the business, Microgaming. Its leading software has set the benchmark in the gaming industry for over 20 years. The result? Unparalleled graphics and animation along with crisp audio effects and loads of player interaction that goes far beyond just reels spinning. Rolling Reels™, the 243-ways-to-win payout structure and blockbuster-themed games are just a few reasons why players vote them best. No question will ever go unanswered at Gaming Club Casino. Simply contact the friendly customer support team via phone, email or get instant assistance via a live chat function. Whether you’re having issues depositing or withdrawing funds, entering a promotion, redeeming your cash back or even just choosing a game, you can count on a customer service agent to come to your aid, day or night. Since it provides entertainment to players from various continents, Gaming Club also offers support, correspondence and software in multiple languages. These include English, Swedish, Norwegian, German, French, Italian, Spanish, Japanese, Polish, Portuguese and more. 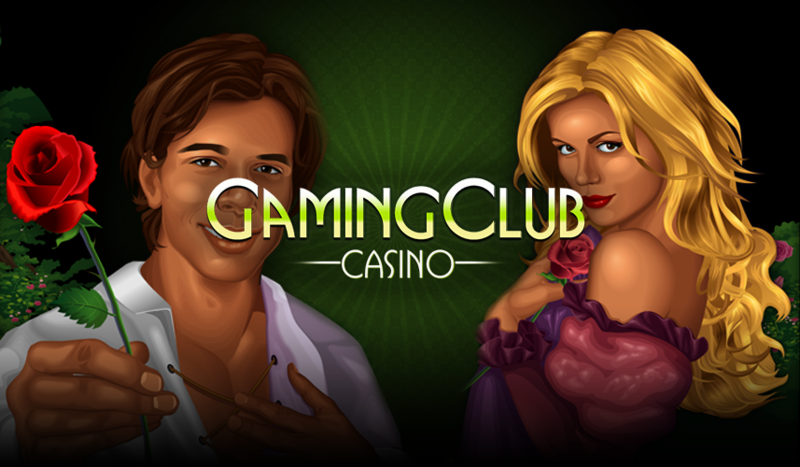 Gaming Club Casino adheres to strict industry standards, which include only operating in regulated regions. Players from countries like the United States of America unfortunately won’t be able to sign up at Gaming Club.